McGahn’s exit continues the churn of top officials as the administration sets records for turnover. He has been the main point of contact inside the White House for Mueller’s investigation. 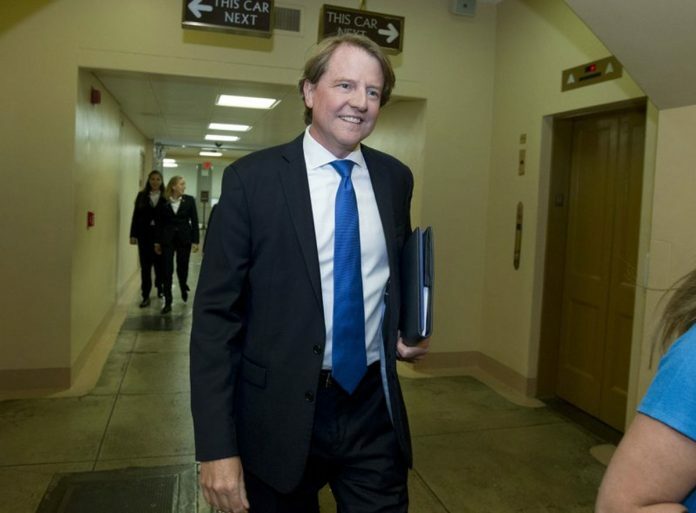 White House Counsel Don McGahn, a consequential insider in President Donald Trump’s legal storms and successes and a key figure in the administration’s handling of the Russia investigation, will be leaving in the fall, the president announced Wednesday.